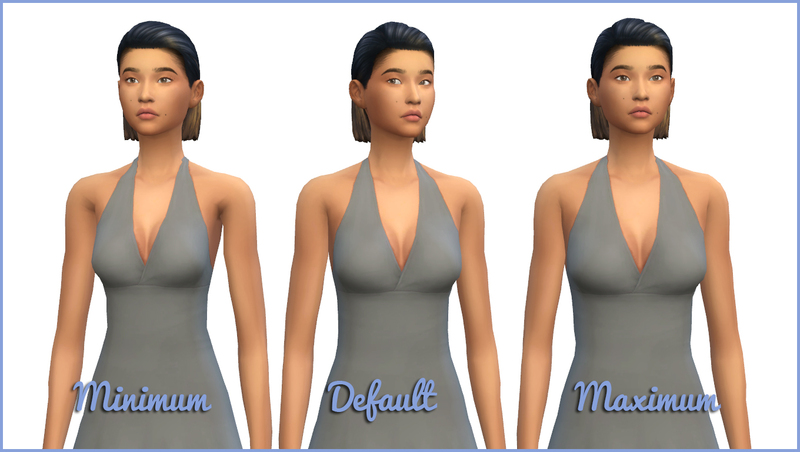 This slider adds the ability to control the width of female sims' chests in CAS. It is something that has bugged me for a while as the chest and shoulder sliders didn't quite make up for the lack of the ability to adjust the actual chest size. 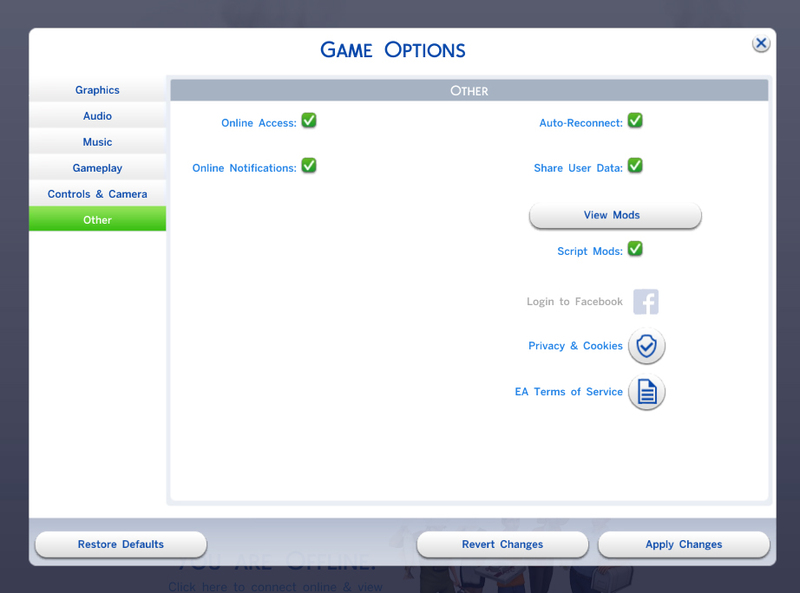 It can be found by using the left and right back sliders with the back in 3/4 view or profile. 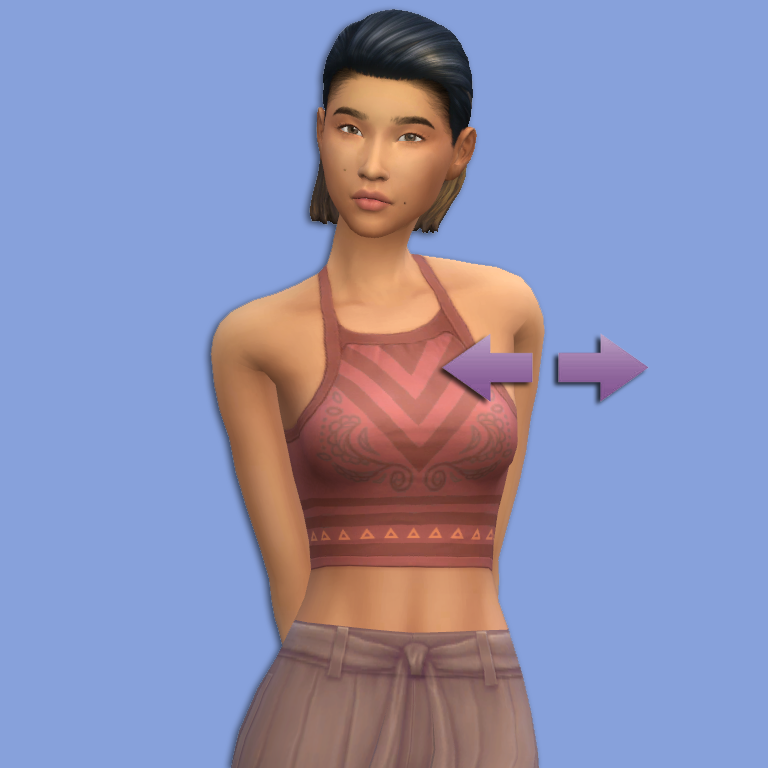 Not quite the easiest place to see the changes your making, but doable and appropriate for the area being altered The remaining back slider abilities are unchanged and work as normal. The width slider can be found when the sim's back is facing the screen and the depth slider can be found when the sim is in profile. Both are left to right sliders. Conflicts: This slider will conflict with any other mod or slider that replaces the resource 8B18FF6E_00000000_00000000000067D6. 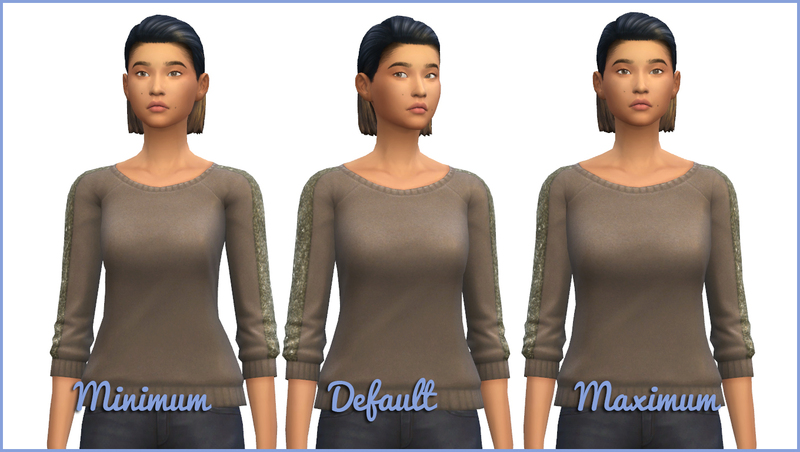 CmarNYC for creating the amazing TS4 MorphMaker and providing easy to follow tutorials, as well as the idea to add depth.